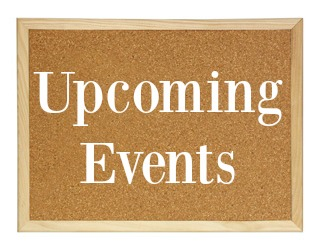 TOMORROW, Saturday, April 6, 2019 at 9:00 a.m.
Our annual Eagle 5K Fun Run/Walk event is TOMORROW! 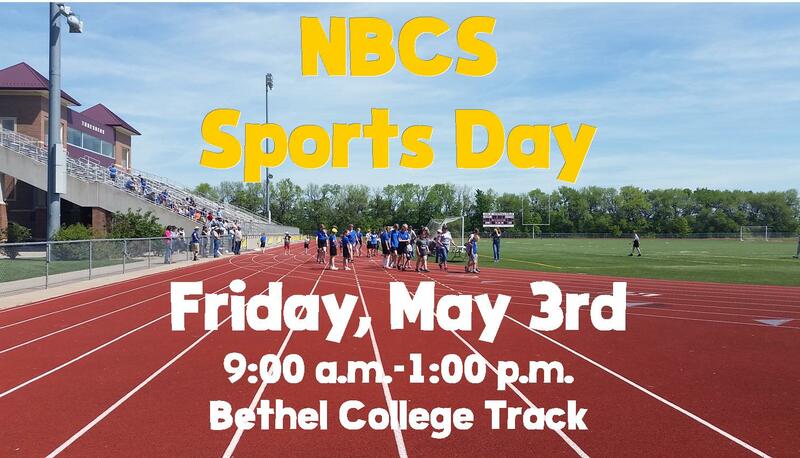 It is not too late to register for the race. 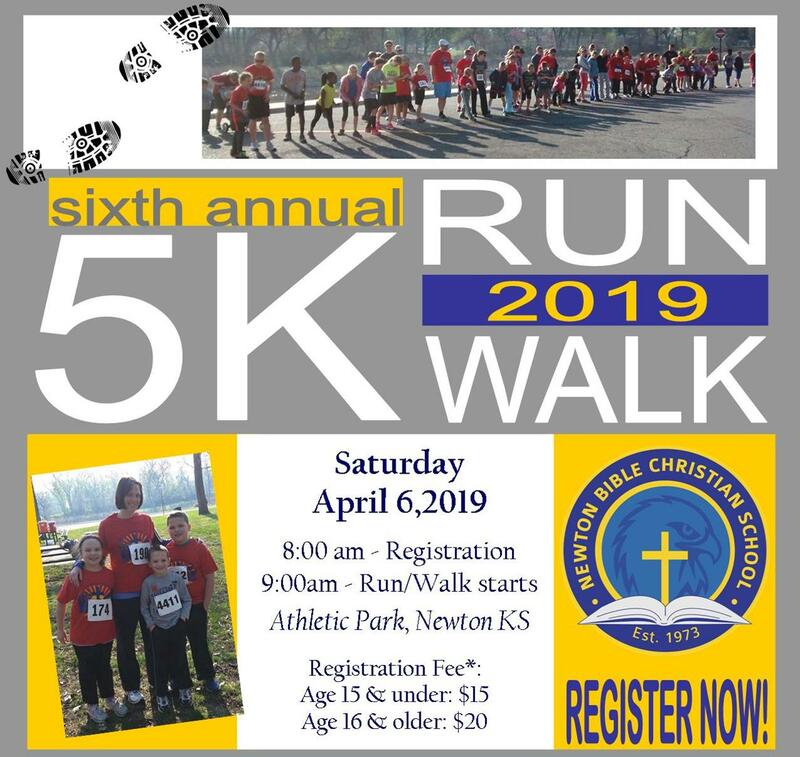 Please contact the school office as soon as possible by calling 316-283-1337 or emailing Carissa at nbcs@newtonbible.org, or just show up Saturday morning for the race! 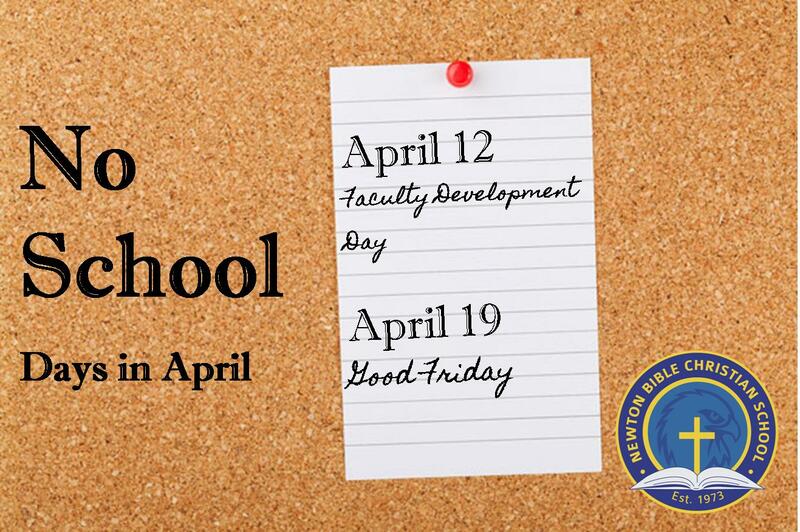 As a reminder, there will be no school this next Friday! 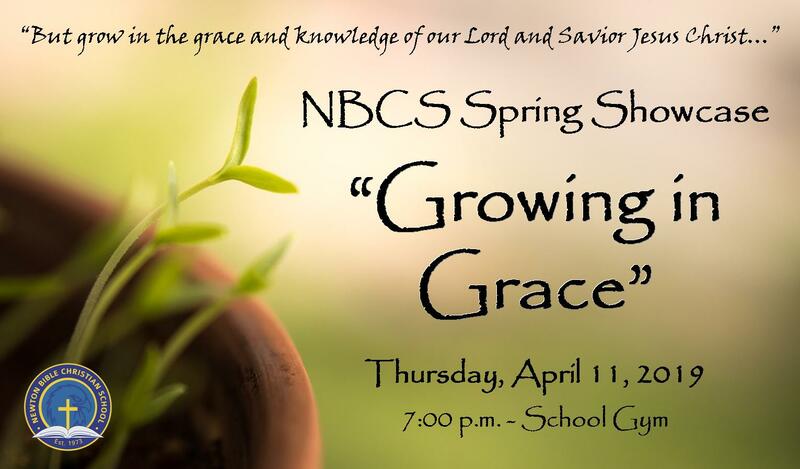 Everyone is invited to join us this next Thursday, April 11th at 7:00 p.m. as we celebrate all God is doing at NBCS this year! 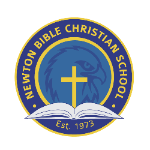 NBCS students will provide entertainment as guests are served dessert and enjoy fellowship with one another. Alumni, supporters, family and friends are welcome to attend! All students need to wear "Sunday attire" for this event. 1st-8th grade students must arrive at 6:40 p.m. for warm-up in the music room. 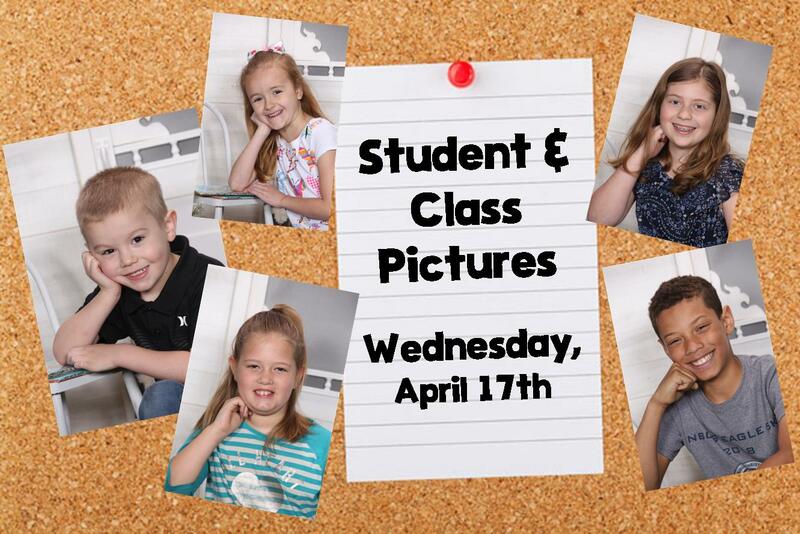 All K4-K5 students may meet in their classroom. 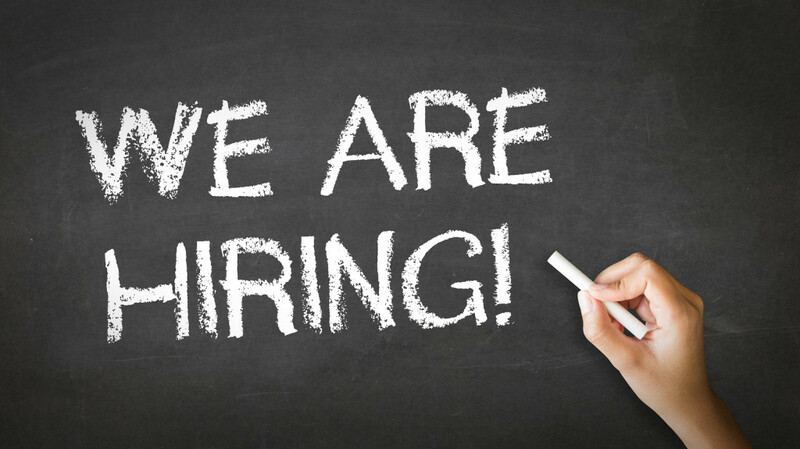 We need a couple additional volunteers to make a dessert for the evening. Please contact Carissa if you would be willing to help in this way. Students' Fine Arts Competition Art Projects will be displayed at this event. Please have your student(s) bring their art pieces to the office by Tuesday. 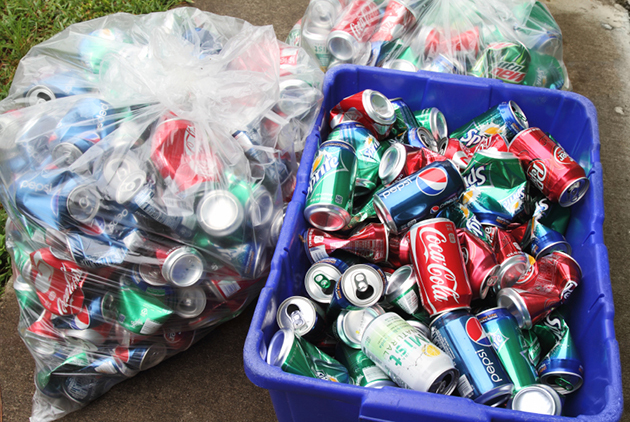 The cost of a yearbook is $20. Order form and payment are due by Wednesday, April 17th. You may click here to download your copy of the yearbook order form. 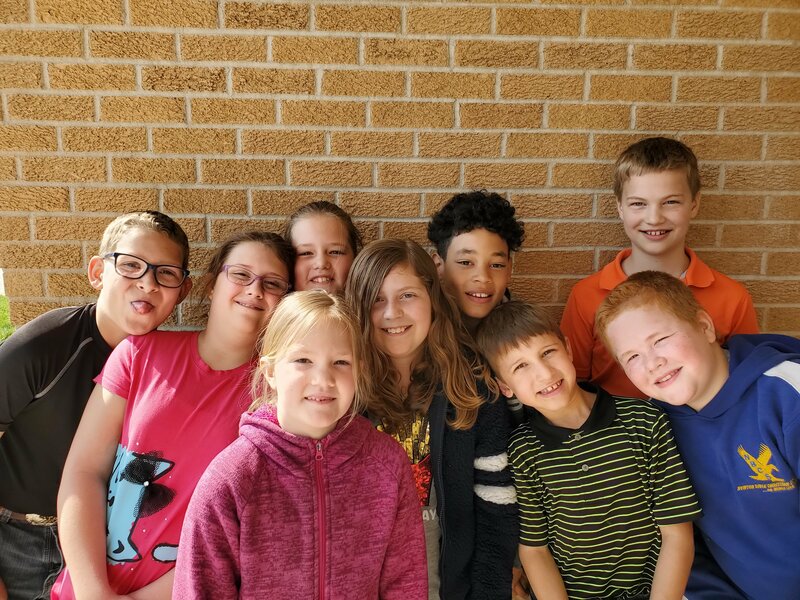 Happy Friday from our 3rd-5th Graders!